We Love Them. You will Lust after Them. I Do Films. After my recent (borderline unhealthy) obcession with Super 8mm films, we’re delighted to be welcoming I Do Films to the Love Lust List. I’ve said it before, and I’lll say it again, it’s hard to find decent wedding videographers and Rachels show reel is just sooooo cool, it has to be seen to be believed. They are also very reasonably priced! We produce and create wedding films for couples specialising in Super 8 Cine films for wedding and special family events. Film has proved itself as a great medium in capturing the memories and moments of a day that can’t be done in any other way. A classic format that will leave you thrilled, touched and happy to watch over and over again. Can you rock a wedding? Know someone who can? Contact the RMW team on hello@thelovelustlist.co.uk to submit your supplier or business. Hand on heart, if I had to do it all again, I’d be having a wedding video. It is my biggest regret that we don’t have a professional one. And if I had had one, I wish it had been Super 8mm film. Without a doubt. I love Super 8. Its so incredibly evocative and atmostpheric and mesmerising, so when Mark Brown sent me an email telling me about his videography, combining Super 8mm with HD, I was right on it and of course, deperate to share it with you all…. www.markwbrown.com from MW BROWN on Vimeo. I started in Super-8mm wedding films just over a year ago with the help of Joel Serrato (known as the best in this industry), I worked in HD videos before that but was disheartened by the reputation wedding videographers received – my videos were never tacky of synthesized or sprinkled with bad effects, but it was hard to get my name out there as a filmmaker that offered something “simple”. I decided to take the leap to Super-8mm simply because it is the most simple and beautiful way to shoot a wedding and at the end of the day that is what I believe couples really want. I also take this profession very seriously, I do consider myself an artist and I believe this comes through in my work. The difference between the two formats is HD shoots on tape or card and Super-8mm shoots on film strip. This film is then sent to the uSA to be processed and transferred to a reel and then sent to a specialist in London who puts it onto a disc, which I then edit. What Super-8mm does well is create an image of real depth and timelessness that HD cannot replicate, it is unique and beautiful yet simple and true to the style of your Wedding. Weddings… I LOVE them because I am a filmmaker that is inspired by storytelling. What’s more inspiring than two people in love, sharing the big day with their family and friends. Being a part of this is truly special, especially when you have a camera in your hands and you have the ability to create something wonderful that will be treasured by families for generations to come. The love of Super-8mm came from travel, being in different places, seeing the sunrise in Tuscany to the sunset in South Carolina. No matter your setting, Super-8 makes it more than beautiful, it makes it enchanting, timeless, authentic. Film creates a depth. The idea of bringing this into my Wedding work didn’t take much pondering. 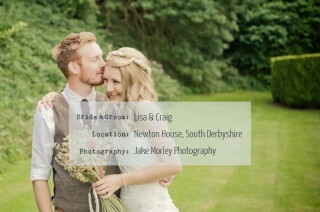 I still offer HD Weddings Videos, I think using both is a good way of truly capturing your big day. I still find it amazing how much joy I feel when I get the processed reels of Film back from the lab and I watch the Wedding for the first time. My Films are not your average Wedding Video, I don’t use any tacky effects or bad music, for me they are an art form, a collaboration of Vintage and HD cameras, keeping it true to the day and above all… about LOVE. 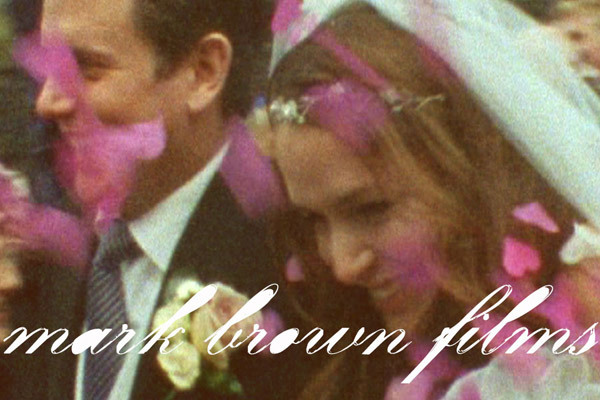 Mark W. Brown | Wedding Filmmaker | Super-8mm and HD | www.markwbrown.com | London | UK | Overseas from MW BROWN on Vimeo. If you happen to be at work right now and can’t watch the videos, please please pretty please come back and have a look at them later. They are stunning and I really hope more than a few of you hop over to Mark Browns site and get as hooked as I am. I would love to see a RMW Bride in Super 8mm.